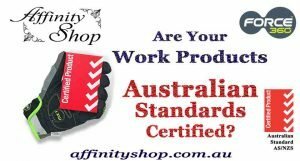 Our Story – Affinity Shop Work Safety Products. New addition to the Affinity Shop Family! Affinity Shop aims to provide a trusted range of quality Work Safety Products. This includes Personal Protective Equipment as well as work related products. Our product range offers reliability and dependability. Nearly all of our products are Australian Safety Standards Approved or Certified. Over my many years in business I have learned a lot about the needs of Australian Businesses. 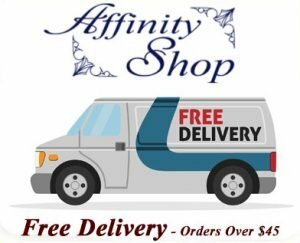 At Affinity Shop we value exceptional, personal, customer service. Value is a key driver for us with a focus on quality products at affordable prices. Our close business relationships and quality product supply chains allow us to provide an edge to our customers. Affinity Shop is located in Mittagong, in the beautiful Southern Highlands Region. About 1.25 hours south of Sydney, New South Wales. FREE DELIVERY! – (orders over $45). We can deliver products to local businesses or work sites in the Southern Highlands Area. We currently service all kinds of industries and workplaces. 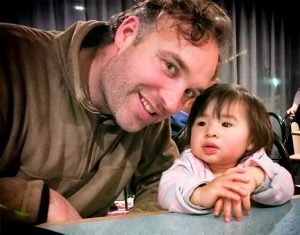 Some of our current customers include Government Departments, Large Mining and Resource Companies, Universities and Education Facilities(all over Australia). We supply Large Companies, Small to Medium Size Businesses right down to end user retail customers. Generally orders are processed and delivered very quickly. If you are in a remote location, normal delays can occur. Here at Affinity Shop we supply carefully selected and tested products! We understand the needs of our customers and businesses. We’re always striving to offer quality products that exceed expectations. Of special importance is the need to meet all the required Industry Safety Standards. We do our best in creating a loyal, ongoing customer base through an honest, reliable approach. Our aim is, to use our business knowledge and experience, to provide smooth, efficient service. We are continually updating our range of products. If you want anything that is not listed on our website, get in touch. We can source products for our customers. You will get to know and trust our range of products. We aim for the best Australian Safety Standards Certified and Compliant Products! We try to offer Australian Safety Standards Certified and Australia Made products where possible. Read about the importance of using Australian Safety Standards Certified Products! Our customers appreciate our smooth, convenient ordering processes. You can place orders with us via our Website, Phone Call, Text or Email. If you are a local business customer we can come to you directly. Because of our reliability, most orders are processed and shipped out the same day. Most of all our website tries to create a fine balance between retail customers, and the needs of bulk business. This is why we have chosen a bulk pricing and order system. You’re best to contact us directly if you want to know the best possible price. Finally, price matching … If you see a better advertised price of any product we can supply or list for sale, get in touch. We cannot always guarantee that we will match or beat every price. It is more than likely that we will be able to! Please feel free to CONTACT US if you have any questions. Our customers love that we are always happy to help.